The Surface computer line has revolutionized portable computing -- it reinvented the PC. Want proof? Both Apple and Google have arguably copied Microsoft's now-iconic hybrid PC with the iPad Pro and Pixel-C, respectively. This mimicry, plus solid sales of the Surface Pro 3, solidifies Panos Panay's vision as both worthwhile and successful. 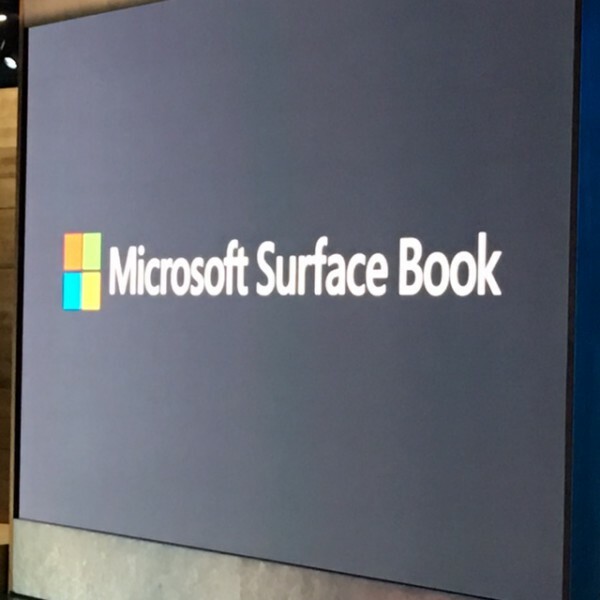 Today, Microsoft unveils the newest member of its hybrid family, the Surface Book. While competitors thought they were catching up, Microsoft has suddenly left them in the dust. Yes, the company has reinvented the PC once again, but this time, with a laptop -- you can finally use a Surface on your lap. It is twice as fast as the MacBook Pro! 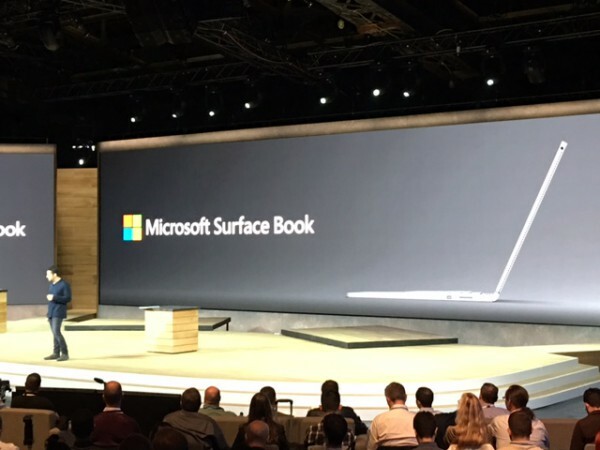 SEE ALSO: Microsoft unveils Surface Pro 4, but will you want it? "Ultrathin, Surface Book combines the impressive power of 6th Generation Intel Core i5 and Core i7 processors with up to 12 hours of battery life. The 13.5-inch optically bonded PixelSense Display delivers a high-contrast 267 dpi display with improved latency and parallax, making it not just beautiful to look at but natural and fluid to write on", says Microsoft. The manufacturer further says, "the screen also detaches, so it can be used like a clipboard to sketch, take notes and benefit from Windows programs like Microsoft Edge. An optional discrete GPU allows Surface Book to harness the full power of hardware-accelerated graphics for seamless video editing, fast rendering or immersive gaming. 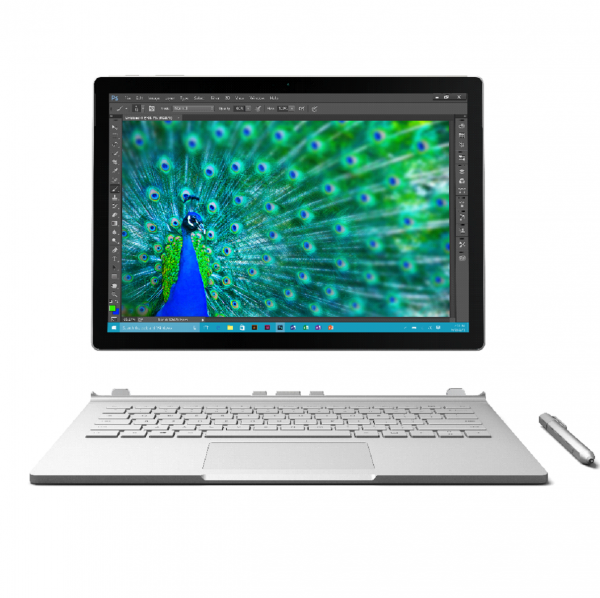 Surface Book starts at $1,499". Microsoft calls it the "ultimate laptop" and it is easy to see why. I consider 13 inch displays to be the sweet spot and the 13.5 inch display found here with 267ppi looks like nirvana. The display is, of course, touch-enabled, as it doubles as a detachable tablet, using Microsoft's "muscle wire" technology. Much like a traditional Surface, it can be used with the pen for drawing, writing, and OneNote too. The trackpad is glass, and features five points of touch. This means Windows 10 gestures will be easy to conduct. Your fingers should glide well and you will have a great pointing experience. The star of the show, however, is the Nvidia GeForce GPU with GDDR5. The GPU resides in the keyboard, so you get extra power while docked. This means you can do serious gaming or video editing. The dock also features dual USB 3.0 ports and DisplayPort out. The aforementioned Nvidia graphics will push 4K video with ease. The magic is found in the dynamic fulcrum hinge, which allows the screen to be set in multiple positions, while remaining steady. Microsoft is promising 12 hours of battery life, but of course, your mileage may vary. With that said, the Surface Pro line has historically been pretty true to listed battery life, so I expect no difference here. So, how much do you expect to pay for a laptop Microsoft says is "the fastest 13 inch laptop ever made"? It starts at $1499 and goes on sale October 26. Will you buy it? Check out the specs and pricing below and tell me in the comments.